The photographs below were taken at a privately owned swimming pool in the historic village of Naseby an area famous for the civil war battle that tool place there in 1645. 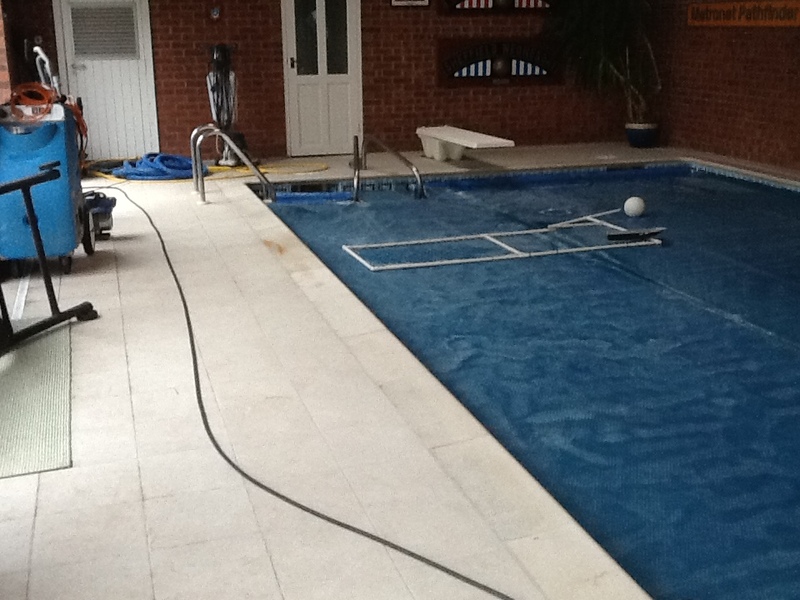 The pool was surrounded by Anti-Slip safety tiles which have a roughened texture to improve traction around the water’s edge, this does have the side effect however that they trap dirt more easily. 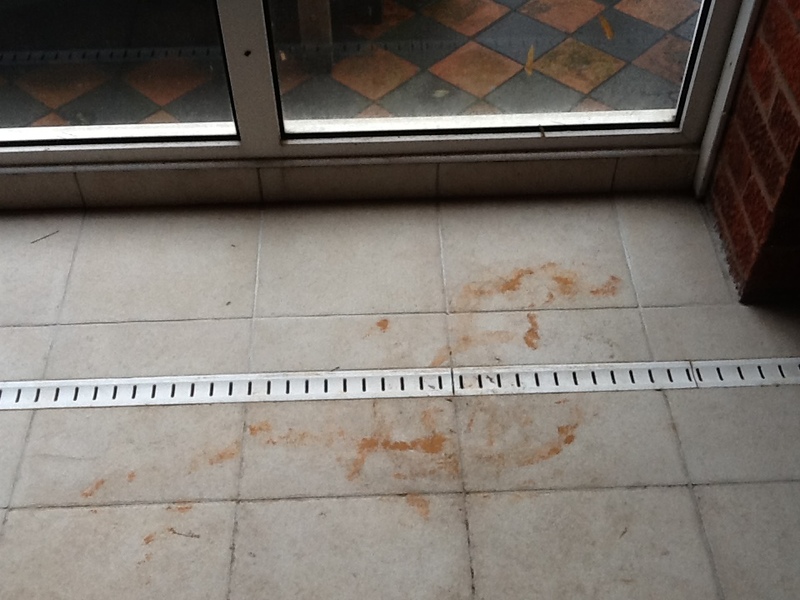 The tiles were overdue a deep clean and had become very dirty and additionally there were rust marks from metal furniture and blackish grout lines. 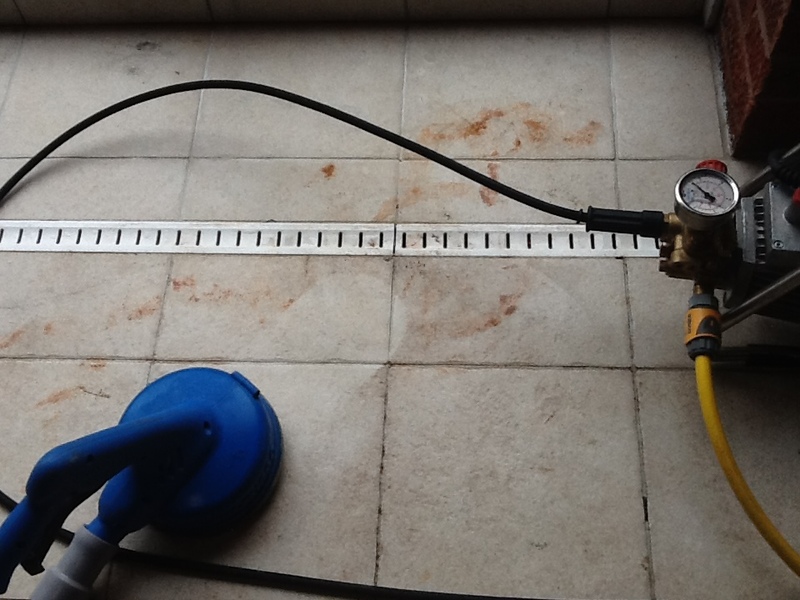 Working one area at a time and taking care not to contaminate the swimming pool a dilution of Tile Doctor Pro-Clean was applied to the tiles and then worked into the tile, especially the rust stains before being washed off using a Rotovac machine which applies hot water at high pressure and then removes it to a remove tank using suction. It’s an ideal machine for this sort of job as it’s very self-contained. Stubborn areas were treated with Tile Doctor Remove and Go which is a powerful product designed to deal with sealers and other surface coatings. Once done another rinse with the Rotovac ensured the soiled cleaning solution and any trace of cleaning product is removed from the surface. Once the tile and grout was clean it was left to dry so it could be sealed which will prevent the tile and grout becoming dirty so quickly. For this we used Tile Doctor Pro-Seal which is a no-sheen, natural look, water based penetrating sealer. It makes a significant difference if you have the right tools for the job and this resulted in the tiles looking as good as new in no time.